Mambo Slots is a new kid about town offering a world of sunshine, cocktails and high quality gaming, which is why we at Phone Bill Casino had to bring them to you. They provide a range of innovative casino, scratch cards and slot games such as Queen of Legends and Plushie Pleasure. With so much on offer we’re sure you’re eager to join Mambo Slots and that’s before we’ve told you about the impressive bonuses. What adds to the sites appeal is the fact that you can play Mambo Slots on your smart phone including Android, iPhone and Tablet devices, so you can now game when and wherever you like. This makes your day much more interesting because those boring points can now be filled with a world of games. The next time you’re taking the dog for a walk make sure you grab your phone and you can keep yourself entertained and hopefully win a jackpot or two. 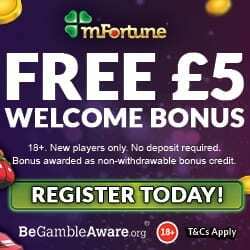 Registering is easy and when you’re a Mambo Slots newbie you’ll be delighted to discover that they will give you £10 bonus credit as a welcome, with no deposit required. So if the pennies are a little tight then you can keep playing and it will give you the perfect opportunity to really try out the site. 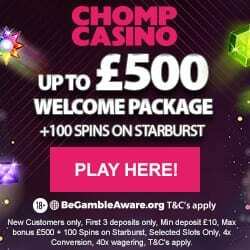 At the point you’re ready to make your 1st deposit you’ll enjoy a 100% cash match bonus on anything up to £500. This is one of the highest matched we’ve seen and means that you could walk away with £1,000 in total to game with. 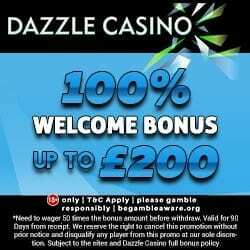 The bonuses continue on your 2nd deposit because Mambo Slots will give you a further 100% cash match bonus up to £500. So for both deposits on the maximum £500 you could walk away with a whopping £2,000 in total. We’re sure you’re eager to tell your friends about Mambo Slots so why not earn a little bonus for it? For each person you refer who deposits you’ll receive a £10 Amazon voucher. They accept the usual banking methods including Credit and Debit card, Paysafe Card, Neteller and our favourite Boku pay by mobile phone bill. So relax and dance your way over to Mambo Slots to register and claim the credit.